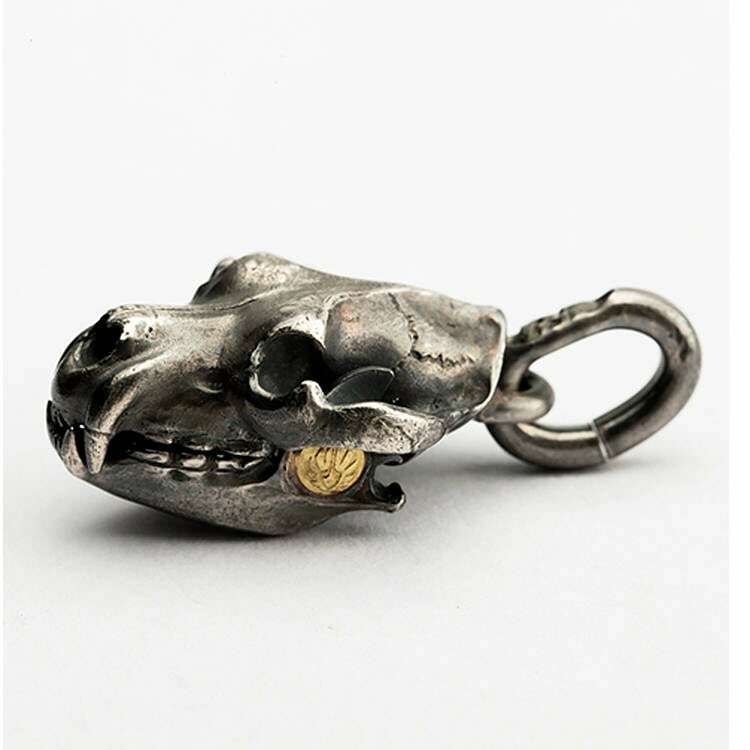 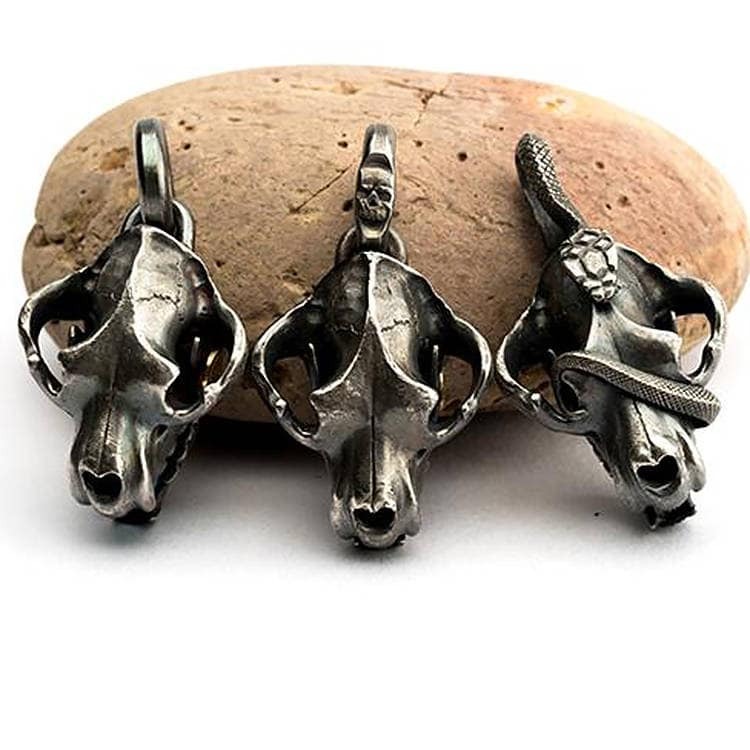 This collection of bear skull pendants maximizes the detail of the bear's skull. 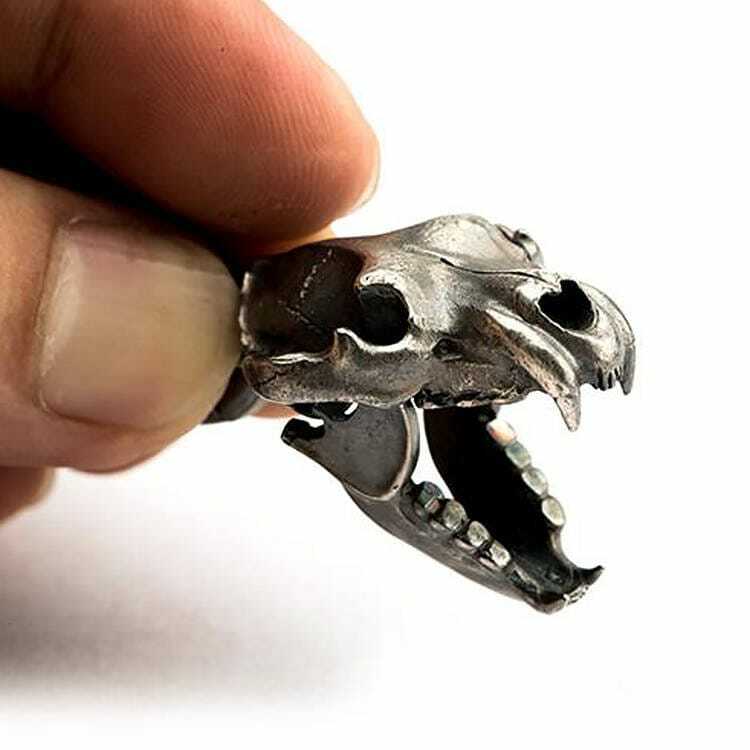 Finely carved out of molars, canines, and strong jaw to show the strength of the bear. 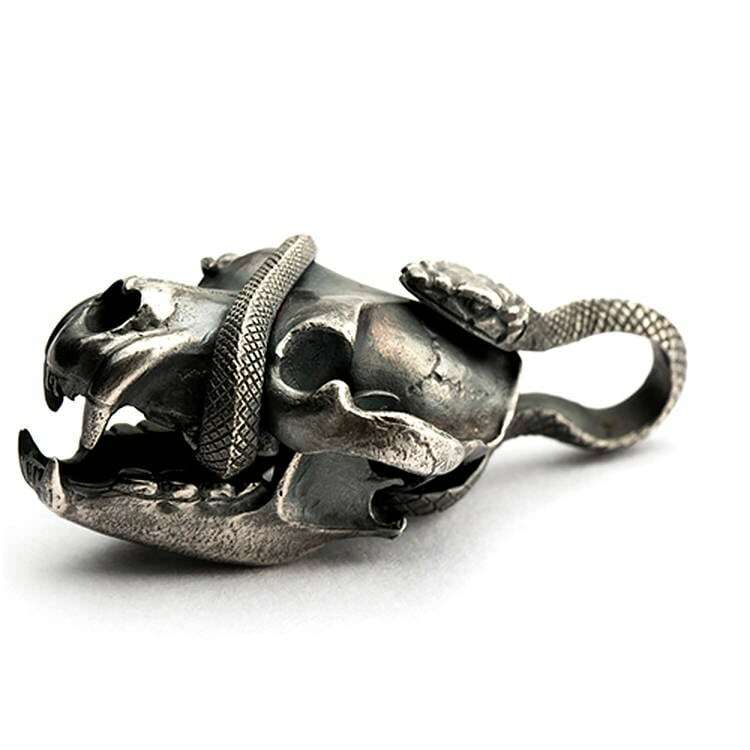 The jaw is movable on the basic bear skull and the bear skull with the snake swirling on it. 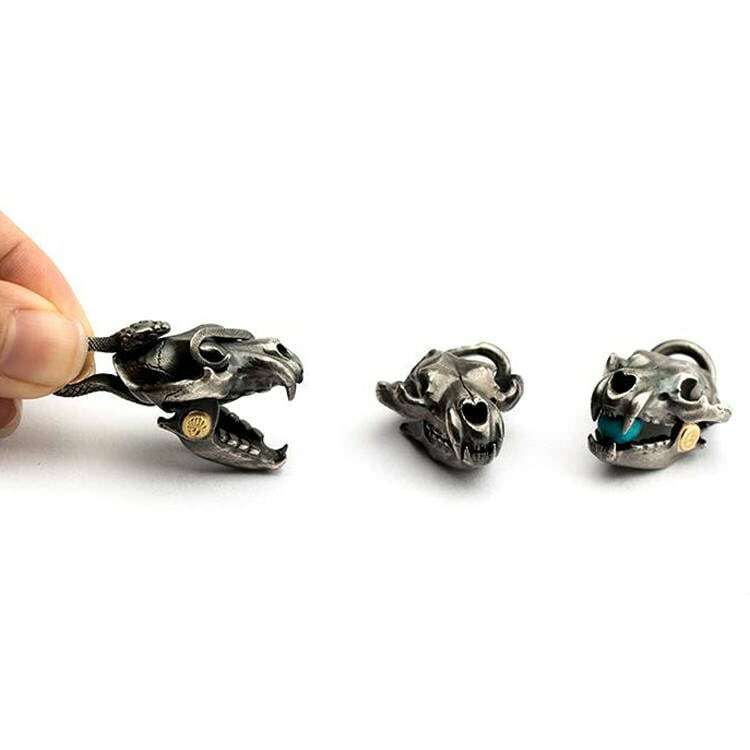 The 18K gold eagle logo is applied on the bear skull with the snake and bear skull with the turquoise to create a two-tone effect. 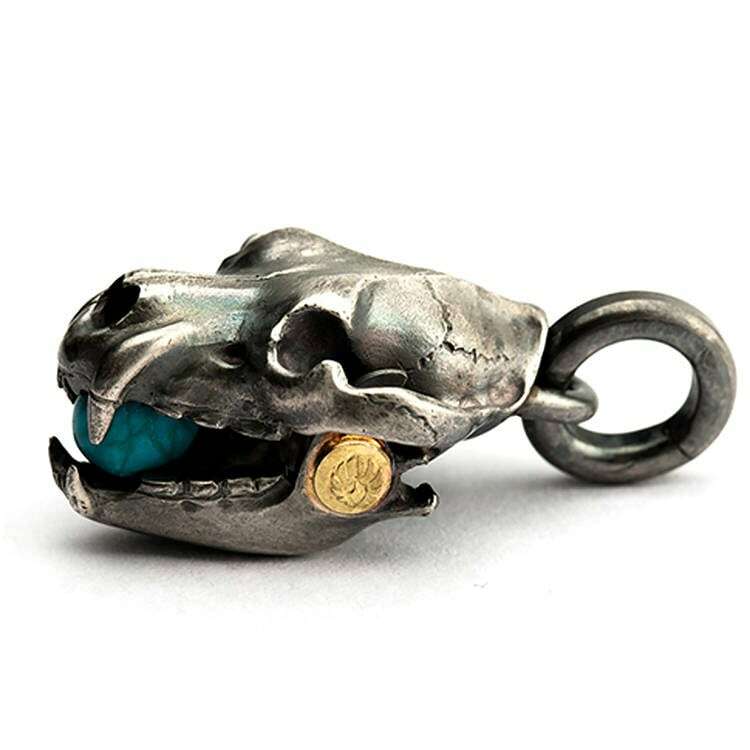 Please note that the jaw is NOT movable on the bear skull with turquoise. 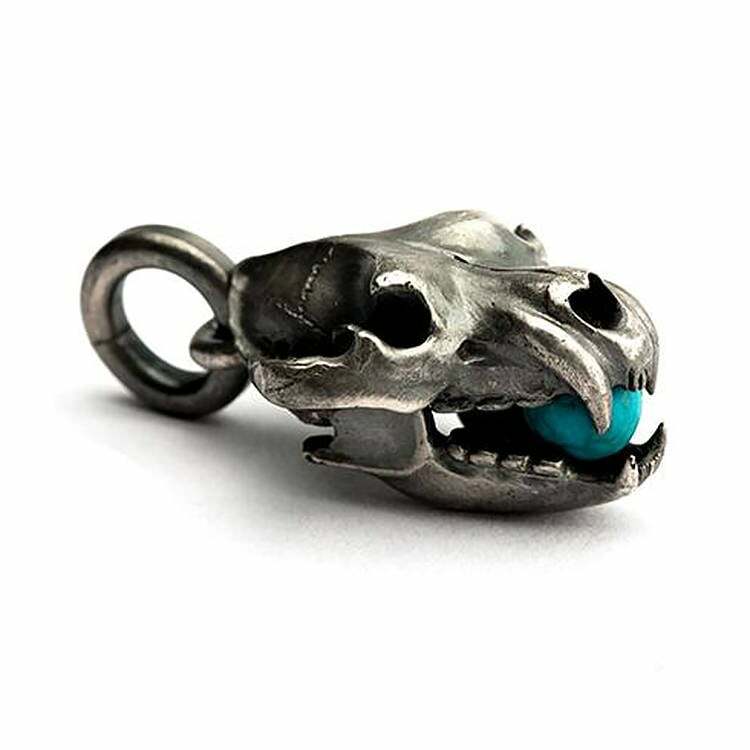 The turquoise is RANDOMLY picked (either greenish or bluish). 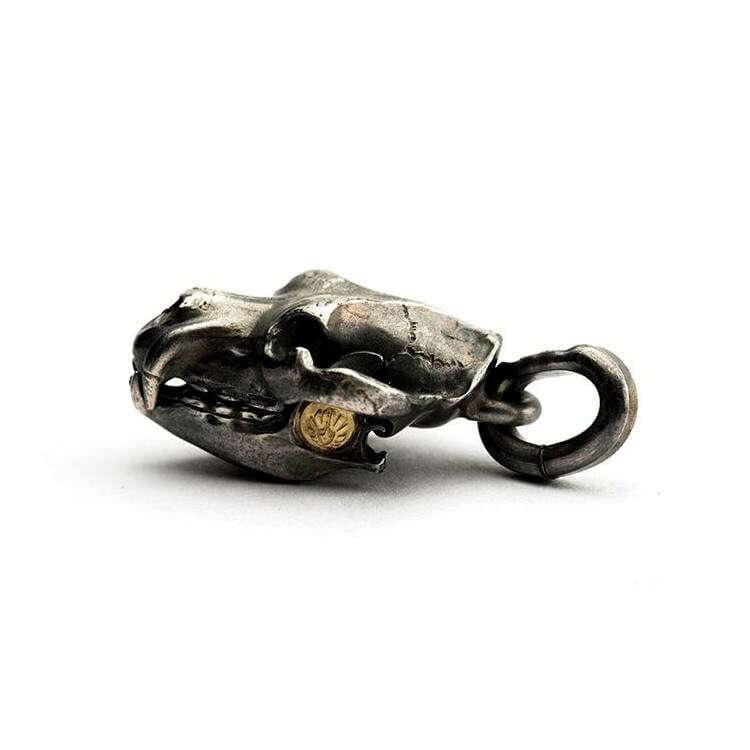 Available in two finishes: original silver and vintage oxidized finish. 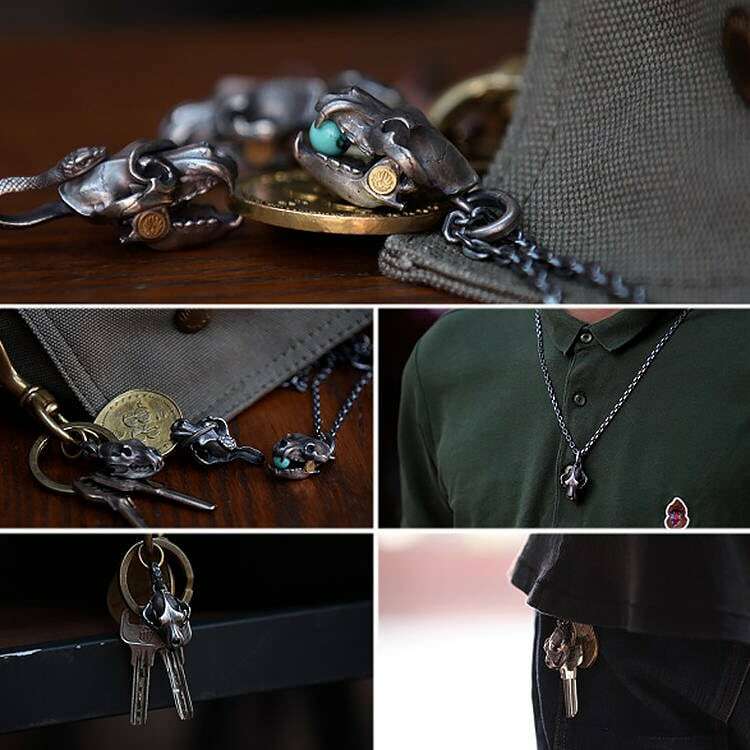 Pictures shown are in the oxidized finish. 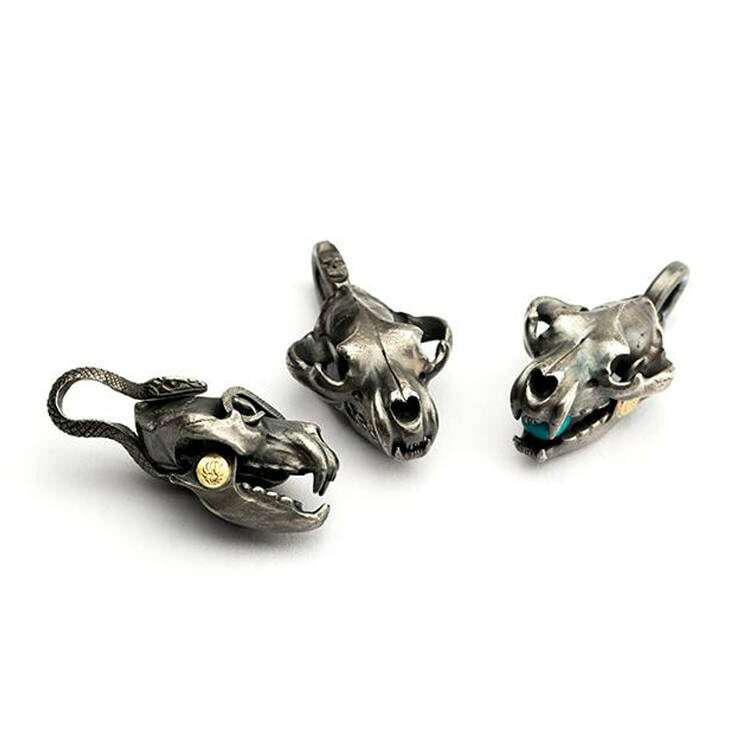 Material: 925 sterling silver, 18K gold, turquoise.